Not sure if this was intended but for a long time now, the map gallery button only shows up when you're in the PRSPY page and not on the index page. Edit: also our newsfeed plugin got triggered and re-posted the latest few posts on our website. Ours as well. A load of old news fetched from RSS. We have XenForo (BASED as well AFAIK). RSS: Not entirely sure what triggered the RSS dump. Seems everything back from September 17 has been re-sent. Let's hope it's a one-time fluke. Clean URLs: They should still be working, but simply redirect to the "ugly" ID-based ones. If you have broken URLs, please give them to me (either here or via PM or whatever) so I can look into fixing them. We had to disable the vbSEO that was in use due to a bunch of security issues. Header: The entire header situation currently is a bunch of workarounds and hacks baked together. I'll start working on a clean fix for all that , and will use that opportunity to get rid of the last traces of Flash as well. Clean URLs: They should still be working, but simply redirect to the "ugly" ID-based ones. I mean the Forum/Thread links. I normally have a tab from SA Forum open in my firefox, but it showed a 404 today. Prspy is showing the same servers stats after several hours no matter what you do like F5 or clicking the ''refresh'' to update it. I think it isn't working properly since the website update. Any fix on it? Yeah prspy is broken on my end too. @Clund: Again, I need example URLs if I am to fix anything . PRSpy: Confirmed, will check this evening what's going on there. Probably something still pointing to the old server instead of being properly redirected to the new one. 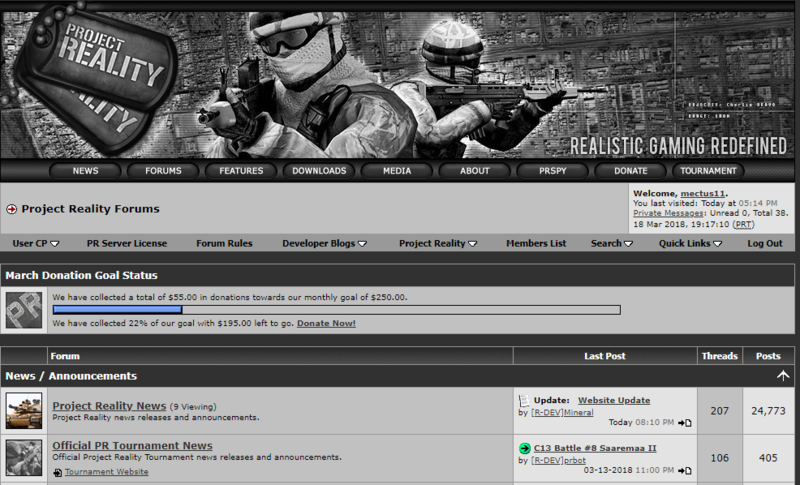 The new server serves the forum pages almost twice as fast as the old one . And that can only improve with any further updates we implement.